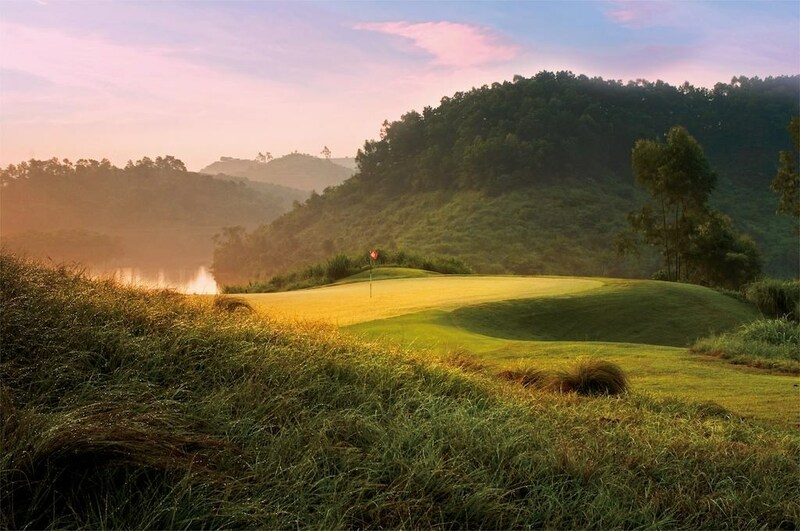 Mission Hills is China's highest rated golf and leisure resort, and the world's largest golf club according to the Guinness World Records. Winner of multiple international awards, the 20-square kilometre golf complex features twelve 18-hole resort and championship courses designed by golf's greatest legends and architects. 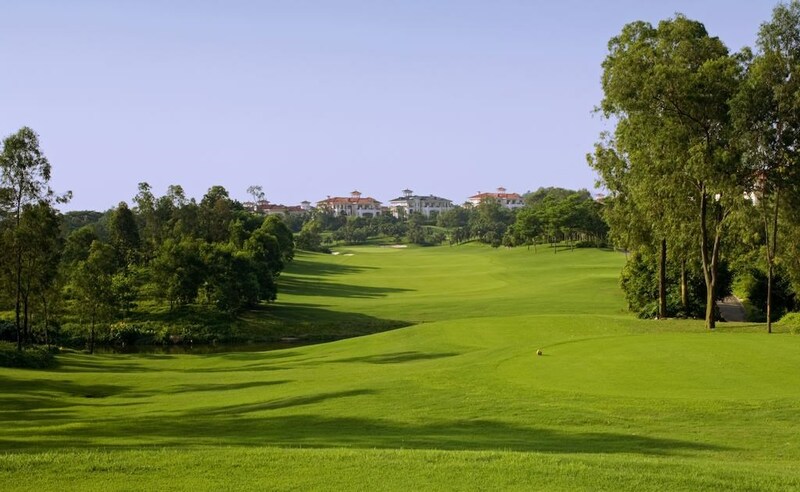 Mission Hills is the cradle of golf in China and hosts the region's most important tournaments, including the World Cup of Golf and the Asian Amateur Championship. 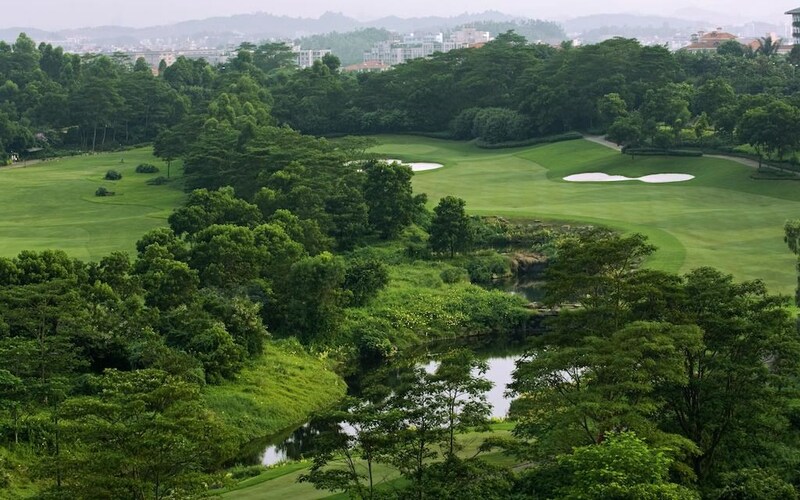 Nestled within the National 5A-level Tourist Attraction and surrounded by 12 world-class championship golf, Mission Hills Resort Shenzhen offers an alluring combination of 5-star luxury accommodation plus some of Asia’s finest sporting, spa and leisure facilities. Free Wi-Fi and parking are provided. 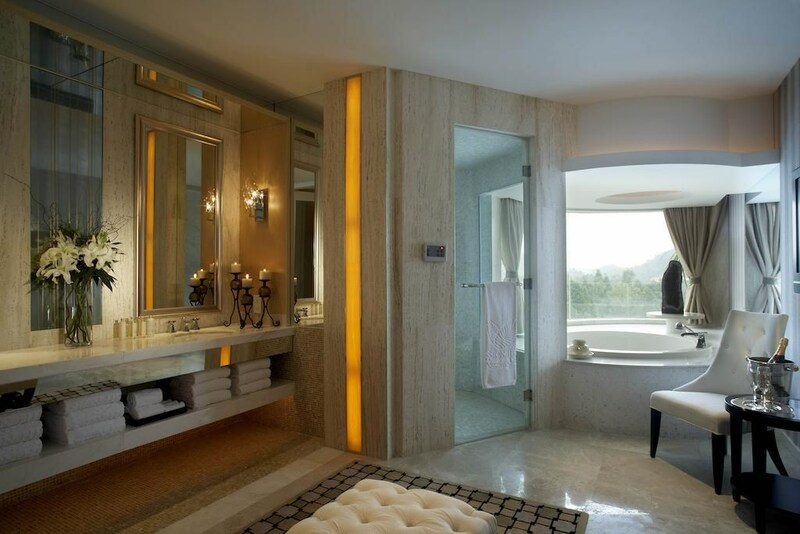 Mission Hills Resort Shenzhen is reachable from the city centers of Shenzhen and Dongguan within 40 minutes and from Central in Hong Kong within 1.5 hours. Shenzhen Bao’an International Airport is a 40-minute drive away. 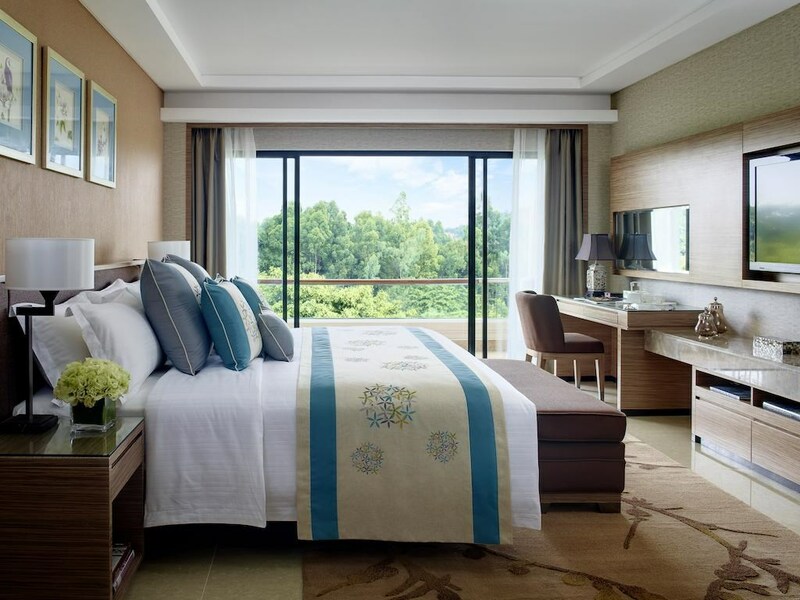 The sister, Mission Hills Resort Dongguan is just a 15 minutes shuttle-bus ride away. Set among the lush landscapes and rolling hills, the resort offers panoramic views of golf course and natural greenery. Elegant and spacious, all rooms feature interactive HD TV system with cable and pay-per-view programs, minibar and iPod docking station for your entertainment. Special inter-connecting rooms as well as children themed rooms are also available, which are the ideal choices for travel of families and friends. Guests have access to 2 outdoor swimming pools with a fun-filled obstacle water park, a fully-equipped gym and a state-of-the-art spa and wellness center for your leisure and relaxation. 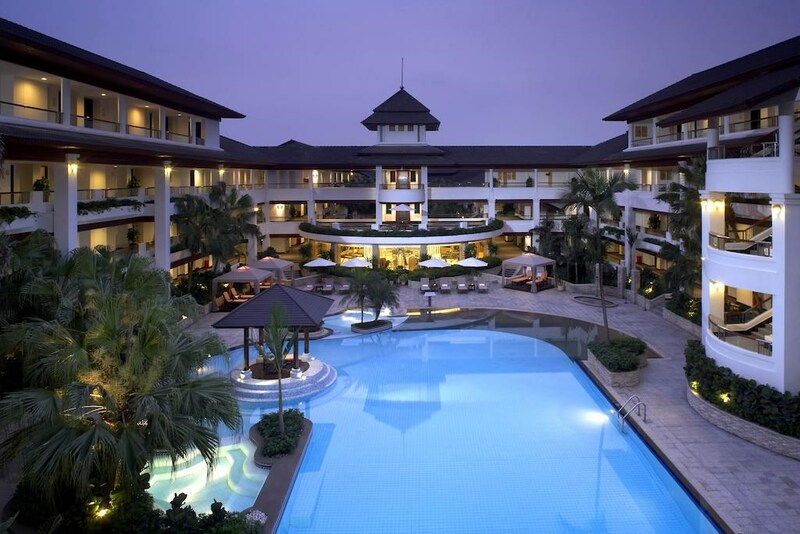 The resort also offers 13 multi-functional venues to meet the business, event and wedding banquet needs. A country club within the resort offers even more activities and leisure facilities including 51 tennis courts and an ecology trail. The resort also features a great variety of dining experiences offering some of the finest culinary selections from around the world. Guests can discover the savory tastes of local Cantonese cuisine, or indulge in a variety of eastern and western cooking traditions at 4 different dining options, including Cinnabar, Imperial Court, Mountain Café, and Shiki Japanese Restaurant. Named in honor of the 41st World Cup of Golf which it hosted in 1995, this critically acclaimed course was designed by 18-time major champion Jack Nicklaus. 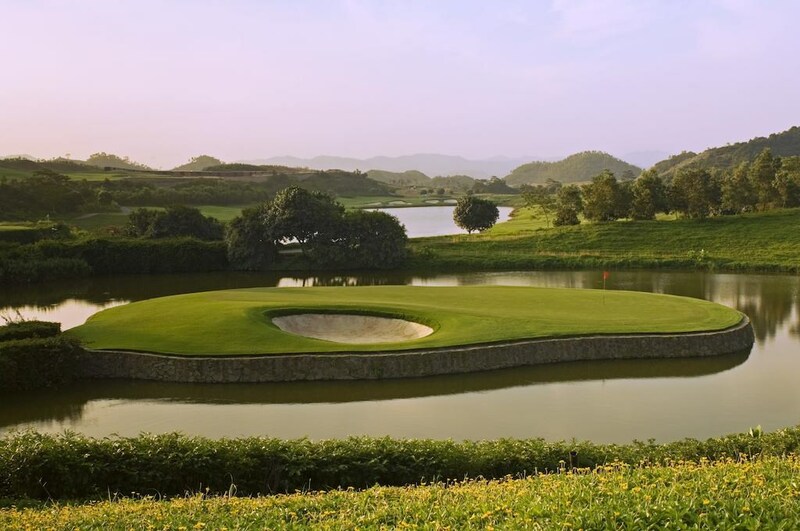 Completed in 1994, it's the first course in China to be accredited by the US PGA for major professional competitions, and many of the world's greatest players - including Tiger Woods and Greg Norman - have played on it. Three-time major winner Vijay Singh has created a layout with a number of innovative design techniques, including the 150-yard beach bunker on the par-4 third hole, and the green complex at the par-5 10th, literally perched atop a rock wall In creating the course, Singh drew skillfully from famous designs around the world (including Pebble Beach), making it a favorite of both low- and high-handicappers. 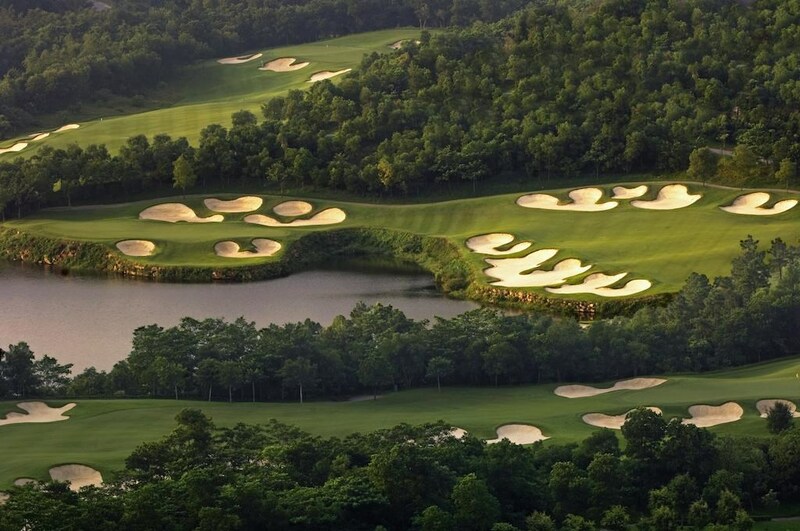 Voted best course in Asia; four-time venue for the World Cup of Golf; also hosted the WGC-HSBC Champions in 2015. Jose Maria Olazabal's inaugural signature course is one of the club's strongest tests. It plays to more than 7,300 yards for the Omega Mission Hills World Cup, and boasts 151 bunkers (including 24 on No. 15 alone) - reflective of Olazabal's reputation as a master with the sand wedge. 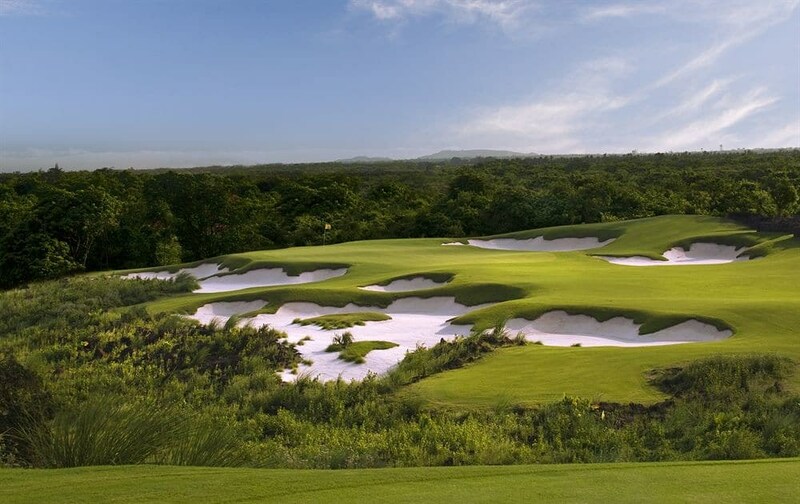 Annika Sorenstam's first design credit features spectacular views of the natural terrain and mountains which rise more than 300 meters above the golf course. The dramatic elevations change throughout the course provide numerous panoramic tee shots perched high above spacious fairways that cut through valleys. The Rose -Poulter course set within a stunning valley of age old trees and jungle vegetation, the new addition has been designed to create an exciting risk/reward opportunity on many holes and is a great venue for a match play format where players are asked to take chances along the way with less regard to overall medal scoring. 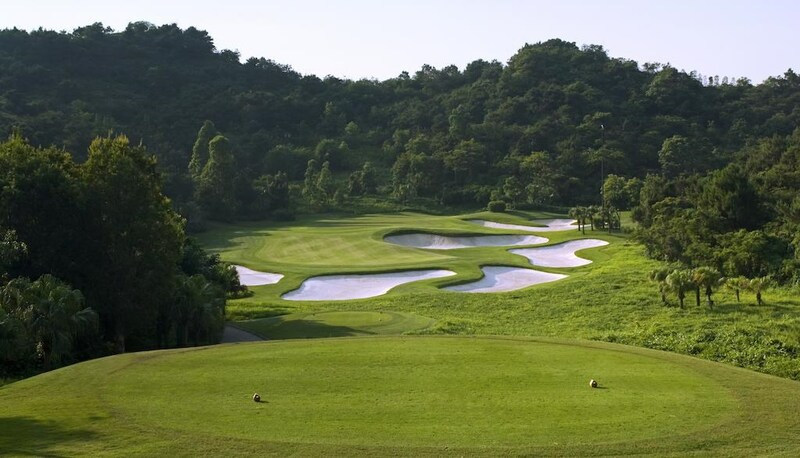 Voted best championship course in Asia; venue for the annual World Ladies Championship and the biennial World Celebrity Pro-Am. The crown jewel is the Blackstone Course, a spectacular 350 acre core golf course that weaves through a striking landscape of mature trees, thick jungle vegetation, and expansive lakes and wetlands. The dominating site characteristic is the bed of lava rock which was capped with material located 25 miles away. Sandbelt Trails is patterned after the exceptionally strong courses of the Australian Sandbelt. Courses such as Royal Melbourne, Kingston Heath, and the Metropolitan Club serve as inspiration for a course that features large bunkers dominated by high sand flashes and crisp, thick lips that rise above fairway and green surfaces. The Vintage is patterned after the classic courses built at the turn of the century. On one hand, there is a distinct natural feel to the layout with holes carefully routed on existing terrain leaving the heavily wooded site as undisturbed as possible. At the same time, much of the feature work utilizes odd, sometimes geometric shapes and quirky features that are distinctively old.